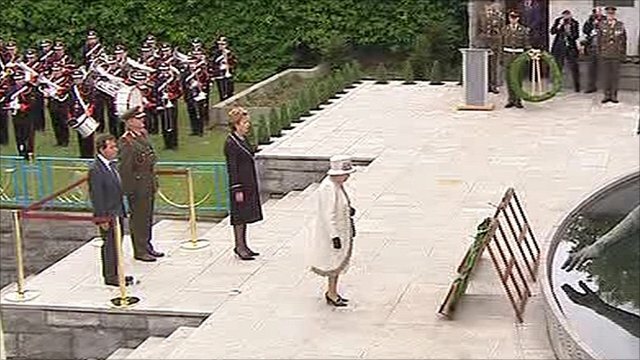 The Queen has laid a wreath at a sombre ceremony in the Garden of Remembrance in Central Dublin. The garden is a memorial for those who fought to end British rule in Ireland. The Queen was accompanied by Irish President Mary McAleese.